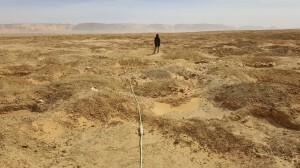 APEX Geoscience, based in Edmonton, Canada, are using UltraGPR technology in Niger to map paleochannels over desert terrain and rocky plateaux. The data thus far have been able to clearly map channels over large areas. It is expected that the team will return after the holiday season for a larger survey.